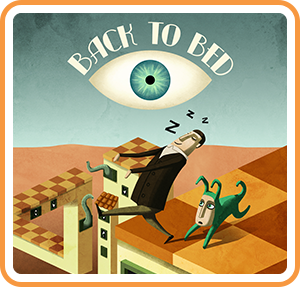 Back to Bed is an artistic 3D puzzle game with a surreal twist. It tells the story of Bob, an unlucky narcoleptic who has a tendency of falling asleep in his boring office and then proceeding to sleepwalk into the dangers of the big city. Luckily, Bob has a subconscious guardian named Subob, whom spawns from the mind of Bob and whose job it is to protect the sleepwalker from any danger and guide him back to the safety of his bed. The ever vigilant Subob must guide the constantly sleepwalking Bob on a journey through a series of surreal painting-like cityscapes where the boundary between Bob's dreams and reality have vanished, as Subob is part of Bob's subconsciousness. The result is an artistic dream world that is recognizable, yet totally different from the real world, where many things are not what they seem and dangers to the sleepwalker lurks deeper in. Where can I buy Back to Bed physical/digital?